A couple of weeks back I posted a news article about participating in the Mali in the City event held by the Melbourne Zoo. 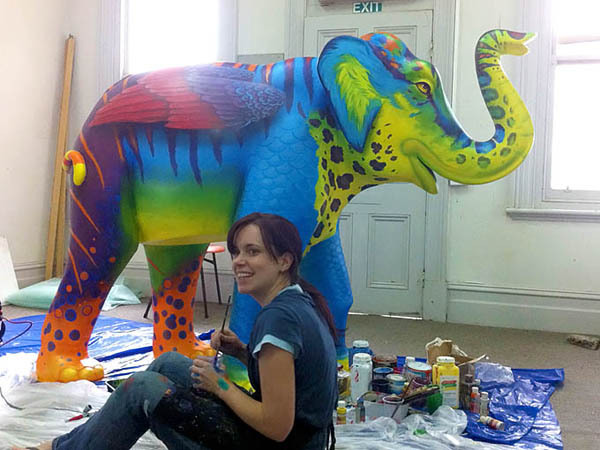 For the event 50 artists will paint 50 life-sized elephant sculptures. The sculptures will be displayed around the city for two months before being auctioned off, with the proceeds going towards the Zoo’s conservation efforts to save endangered species. I have finished my first elephant and using my iPhone, and a copy of iTimelapse, I created a time-lapse video of the entire elephant painting process. I hope you like it… enjoy!